Greater Montreal announced Thursday a ban on non-biodegradable, single-use plastic bags starting in 2018, in the largest of its kind proscription in Canada, while urging other major cities around the world to follow suit. 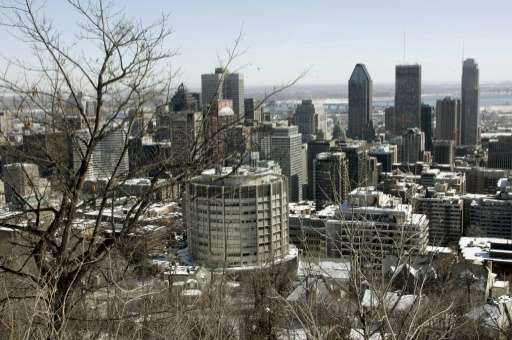 The move affects 3.9 million area residents, or about half of the population of Quebec. 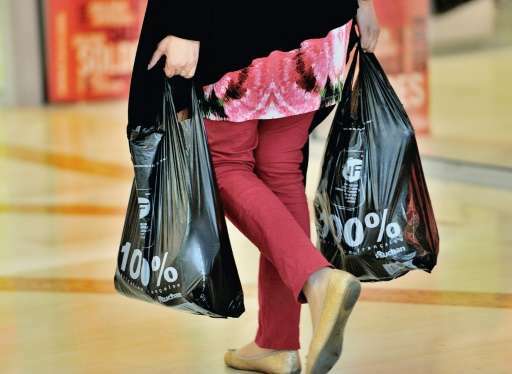 Between 1.4 and 2.7 billion shopping bags are distributed annually in the Canadian province, according to government figures. About 14 percent are recycled, while the rest take up to 1,000 years to decompose in landfills, or blight landscapes while damaging wildlife and marine environments. "Plastic bags are a scourge," Montreal Mayor Denis Coderre told AFP. The 82 municipalities that make up the metropolitan area agreed unanimously to prohibit "the use of single-use shopping bags which are not biodegradable, or fully recyclable" effective Earth Day on April 22, 2018, according to a resolution. Coderre was named head of Metropolis, an association of some 140 major cities around the world. He said he would press his counterparts in other urban centers to also enact bans. Toronto—Canada's largest city—had brought in a similar ban but it was rescinded in 2012 following a public outcry. Six other small municipalities across Canada have either a legislated or voluntary ban in place.